An objection has been made to my recent response to Bishop Williamson. It is an objection frequently made against sedevacantists. It objects that sedevacantists cannot criticize the SSPX for sifting the magisterium, since they themselves are sifting popes. By finding a discrepancy between pre-Vatican II magisterium and post-Vatican II magisterium, sedevacantists merely depose popes whom they find wanting in orthodoxy. But they have no authority to do so. So while sedevacantists object to “magisterium-sifting,” they themselves are involved in “pope-sifting,” which is the same thing. First of all, as I said in my article, every Catholic must compare everything he hears to the Church’s previous magisterium, even new acts of the magisterium itself, since the magisterium fixes the Church’s dogmas, which are the object of our faith. So once the Church has pronounced on any dogmatic or moral subject, its pronouncement becomes fixed in concrete. Nothing thereafter may legitimately contradict it. Even popes are bound to the previous magisterium. The assistance of the Holy Ghost to the Church assures that any act of the Church’s magisterium will be in accordance with previous magisterium. Furthermore, by the gift of indefectibility, the Holy Ghost assists the Church in such a way that no universal discipline or law, whether liturgical or otherwise, could prescribe something sinful. If, therefore, there is a contradiction between the previous magisterium and the current magisterium, the Catholic must side with the previous magisterium, which is not in any way alterable, and is the object of his virtue of faith. In so doing, The Catholic must see the contradictory “magisterium” as not coming from the hierarchy which is assisted by the Holy Ghost. For it is impossible that a hierarchy, so assisted, could promulgate such a thing. Therefore the contradiction found in the new “magisterium” must be seen as an infallible sign that it does not proceed from a divinely assisted hierarchy. 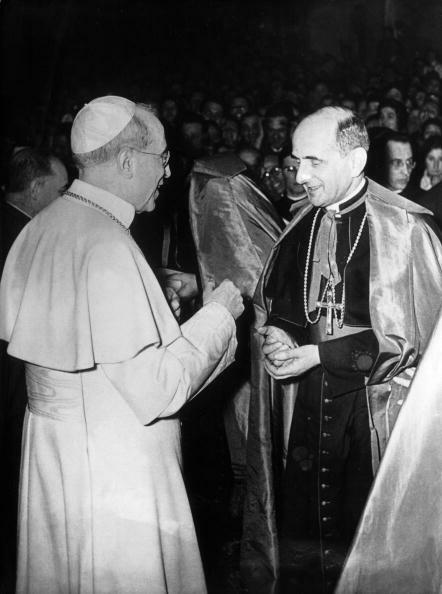 Therefore Paul VI’s promulgation of Vatican II’s heresies is an infallible sign that he did not enjoy papal authority, nor ever did, since he would have been assisted in such a way as to avoid the promulgation of heresy and error. The same may be said of laws and disciplines. 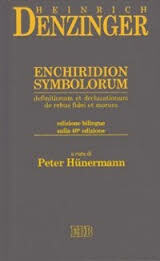 If traditionalists are saying that the new liturgy is evil, and that the new sacraments are invalid, at least in some cases, and that the 1983 Code of Canon Law contains sinful laws, then they are implicitly asserting that it is impossible that such things proceed from a divinely assisted hierarchy. The conclusion is sedevacantism. Note that the traditionalist cannot avoid the conclusion of sedvacantism, without implicitly denying the assistance of the Holy Ghost to the Church, which would actually be heretical. The serious error of the SSPX and of Bishop Williamson is precisely to say that the pope and the Catholic hierarchy as a whole is capable of contradicting the previous magisterium, and is capable of promulgating evil liturgies, disciplines and laws to the whole Church, thereby creating and promulgating a whole new and false religion. The solution, they say, is to sift the conciliar and post-conciliar magisterium, liturgy, disciplines, and laws for what they find traditional, all the while recognizing the promulgators of the false religion as the legitimate Catholic hierarchy. This means that the infallible Catholic hierarchy has universally promulgated heresy and error, as well as evil liturgy, laws, and disciplines. But this is contrary to faith. Therefore the faith requires us not to sift the faulty magisterium and disciplines, but to reject the promulgators as a false hierarchy, that is, as a hierarchy which does not have the authority to teach, rule, and sanctify the Church. Sedevacantists are not deposing anybody, since they have no authority to do so. Hence, in the Thesis of Bishop Guérard des Lauriers, the faithful can and must say only that the Novus Ordo hierarchy lacks authority, for the reasons stated, but is not and cannot be deposed, except by a legitimate authority. Sedevacantism, as I said in my article, follows what St. Paul says to the Galatian faithful in the first chapter of that Epistle. If anyone, including an angel or himself, preaches a doctrine different from what he has preached, let him be anathema. He does not say: sift the false doctrine for traditional tidbits. In other words, if the preacher should contradict the previous magisterium, he should be utterly rejected, and not “accepted but sifted.” Likewise Paul IV calls for the utter rejection of the elected pope who turns out to be a heretic. 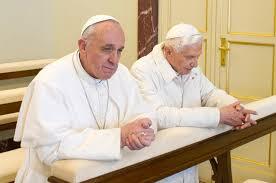 The faithful are commanded not to sift his doctrine for truth, but to consider him as a false pope. Therefore if by “pope-sifting” we mean that the Catholic faithful must reject as false a preacher of false doctrine, even if he should be St. Paul himself, then sedevacantists plead guilty, for this is what St. Paul and the Catholic Church require us to do. “Pope-sifting” is in fact the wrong word. “Heretic-sifting” is more accurate, i.e., sifting the hierarchy for heretics, something the Church has always done. For no heretic can be a true pope. Bishop Williamson would like to transfer the assistance of the Holy Ghost from the pope and hierarchy to the believing faithful, thereby assuring the infallibility of the magisterium through the consent and acceptance of the faithful. In this system, one can have a pope and hierarchy in defection, but at the same time an infallible and indefectible Church. In other words, you can have your pope and eat him too. This entry was posted in Sedevacantism and tagged Bishop Williamson, Catholic hierarchy, magisterium. Bookmark the permalink. God bless the vanguard of the Faith who do not shrink from the True ’cause’ of Christ our King. The Church teaches that, outside of the Real (substantial) Presence, Christ is present on earth in the ‘two or three’ who champion His cause ‘in My Name’. Suppose we saw the ‘Barque of Peter’ as an aeroplane (yep, I listen to True Restoration). Sedevacantist’s are wise enough to understand that our faithlessness has placed the ‘plane’ in a holding-pattern. Alternatively, others simply are happy to take their ‘aggironamento’ parachutes and jump their way to Airport VII where they have no choice but to board a plane that has no right wing or engine, no tail, and, indeed, no pilot, but they are just thrilled as she courses down the runway. We might be this stupid, but God is in no way so cruel.